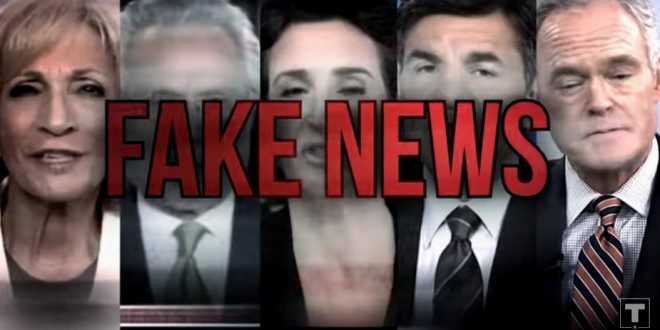 Trump 2020 Re-Election Team Blows Fuse Because CNN Won't Run Their Ad Calling CNN "Fake News" [VIDEO] - Joe.My.God. President Trump’s re-election campaign blasted CNN on Tuesday, saying the network refused to air an ad about Trump’s first 100 days in office. In an email sent out to supporters, the campaign, Donald J. Trump for President, Inc, called CNN “fake news,” a barb often used by the president himself. Part of the ad in question attacks the media, spelling out the words “fake news” and saying, “You wouldn’t know it from watching the news.” The network requested that the campaign remove the graphic calling the mainstream media “fake news,” a CNN spokeswoman said in an email.